Appendix 1 - The Earl J. Arnold Advertising Collection - 1885: Eureka! The Eureka Silk Mill originated in Canton MA, whose Historical Society maintains what they claim is the "biggest local history site in America." 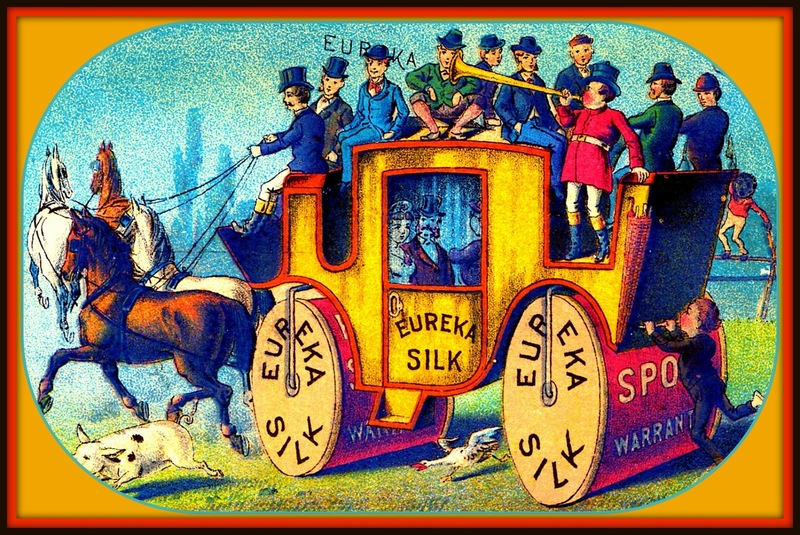 After its founding, the Eureka Silk Manufacturing Company expanded and changed hands. The history of the Company is convoluted, as it appears both several different locations as well as owners were involved over the life of the company. One of the owners was H.K.H. 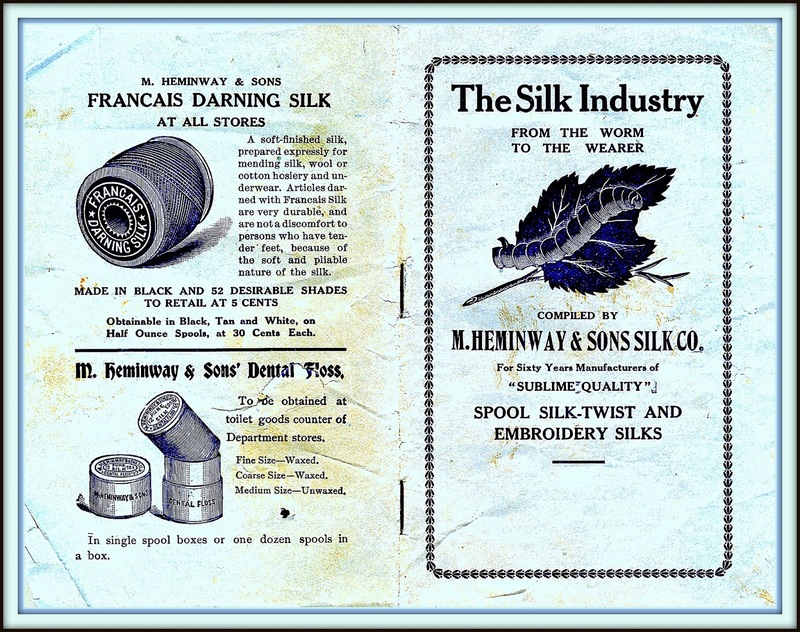 Silk Company (scroll down), which had a connection to M. Heminway & Sons Silk Co., publishers of this informative pamphlet on silk manufacture. At least we'll know something about silk, if not the company itself! The old Eureka building faces Macy's modern tribute to the architecture of the area. 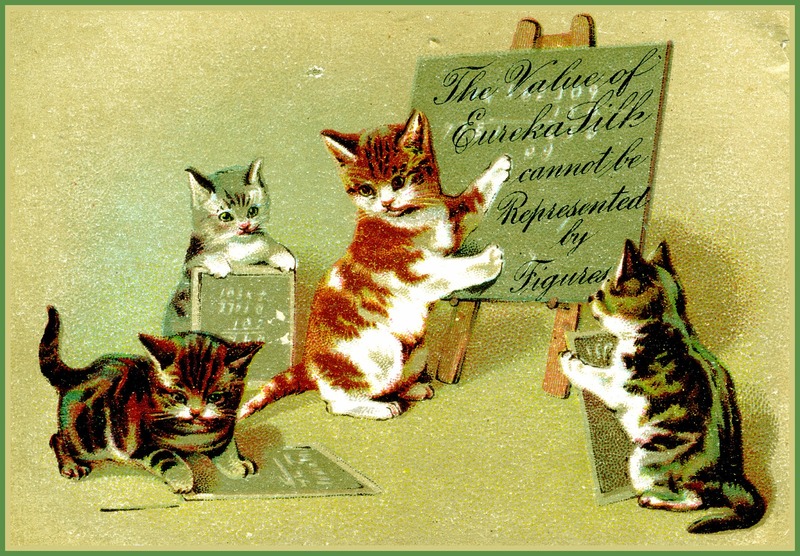 The kitties get the last word (as they often do)! 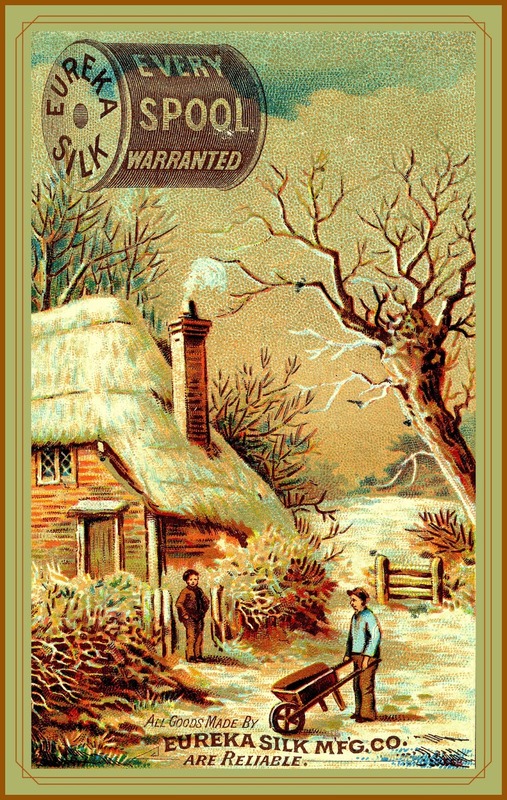 HI-- GOT YOU #19THCENTURYTRADECARDS ARE THE BEST ! !